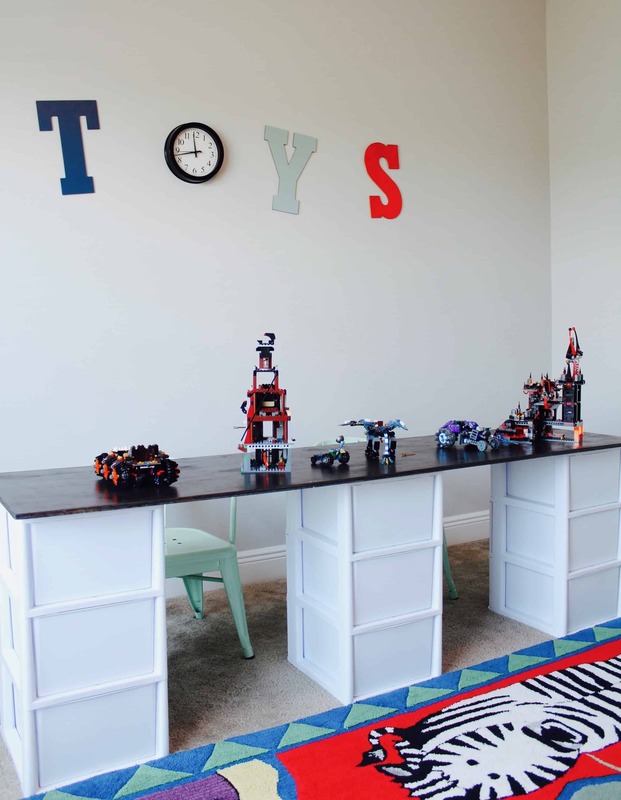 CALLING ALL MOMS who need a good Lego storage solution(or any moms in need of a good toy storage idea). Have you ever hit your limit with toys and find yourself saying, “that’s it! we’re organizing these toys once and for all?” I’m tired of stepping all over them, moving them off the kitchen table, finding them in random places of the house (dishwasher (not even kidding)). I know you know what I’m talking about. I’m talking about all those tiny, random, never-to-be-in-the-same-place-again, little pieces of LEGOS! 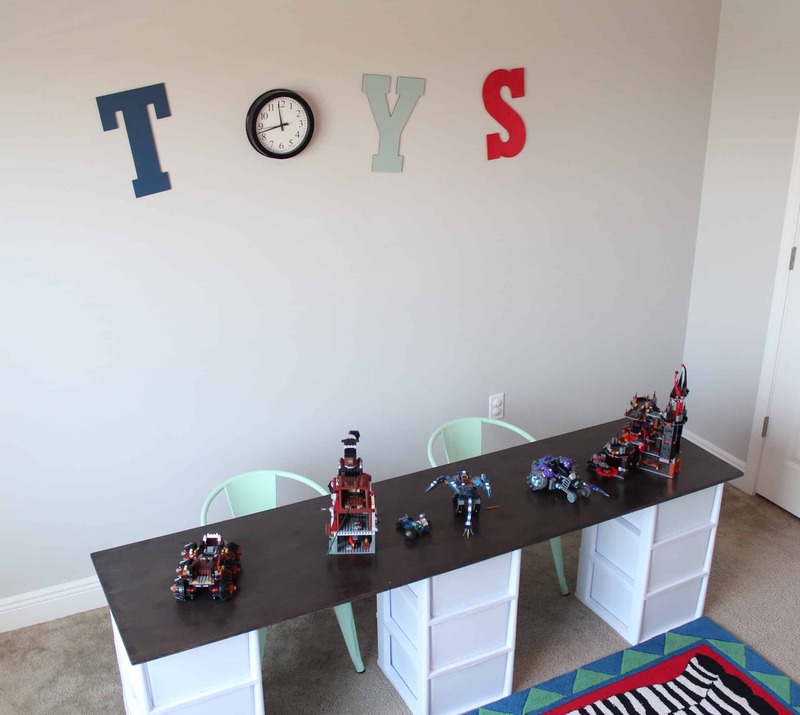 To create a DIY Lego or Craft Storage Table. I started this project by brainstorming a affordable and easy lego storage solution. 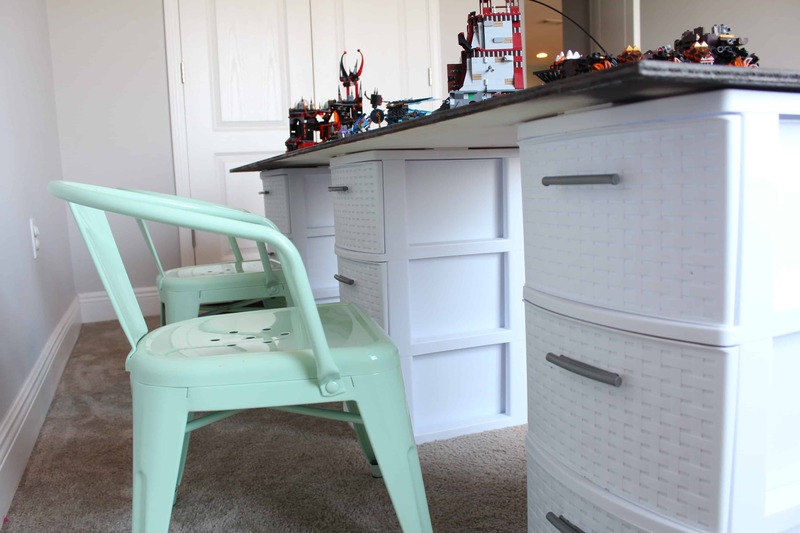 I decided my best option was to create a DIY lego or craft table with lots of storage. 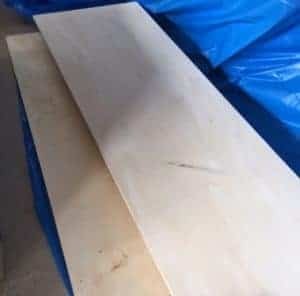 If I could find a stable storage base, I knew I could buy a piece of plywood to use as the table top for very little money. I also wanted the table to be long enough to fit at least 2 chairs under it. This post contains affiliate links. This means that if you purchase from one of these links I will receive a small commission, but rest assured you won’t pay any more for the product. Thank you for supporting my blog! 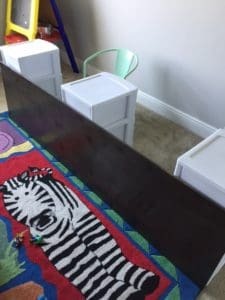 I wanted the table to be about 2 feet high (this is a good height for a kids table), so I looked for similar storage bins. I liked this one because you couldn’t see all the “junk (or small pieces) inside the bins. 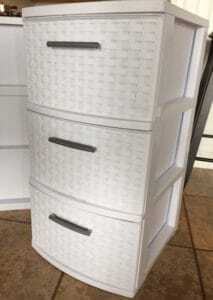 I’ve attached an affiliate link below to this storage bin for more information. The plywood is 1/2 inch thick, 78″ long by 20″ wide (I had the hardware store cut it to these measurements). Sand the top and sides until it is fairly smooth. It’s plywood, so it won’t ever be super smooth, but I wanted to make sure all the “loose splinters” were gone. Stain the wood with Minwax stain dark walnut. I applied two coats. Apply a few coats of Minwax Clear Brush Laquer. I used 3 coats. Next, the fun part; putting the Lego storage table together! After I measured and decided how far apart I wanted the bins, I added the 3M strips to the top to secure the plywood to the bins. I added 4 strips per storage bin. Once I got the Top secured on the bins, my simple lego storage table was done! Note: I get a lot of questions about the stability of the plywood top with the 3M strips. If you position the plywood in the center of the bins, and use four strips per bin, then it should be plenty stable. That being said, if you have a kiddo that might be a little more destructive than the 3M strips can handle, you might opt for a more permanent solution like screws. 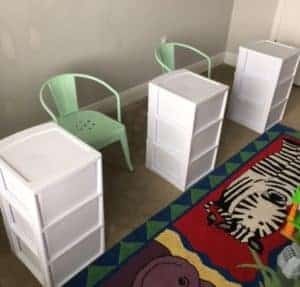 My kids love their new DIY lego storage table! 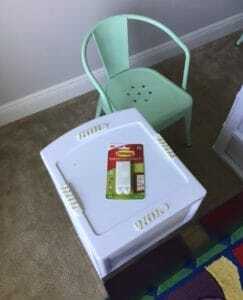 This table could easily be used as a craft table or a storage table for anything relatively small. Best part, momma loves this table even more! Do the Legos always stay in the bins? No, but the kids are doing so much better about keeping all the pieces in their bins and not all over my house! My Lego storage problem is finally solved! 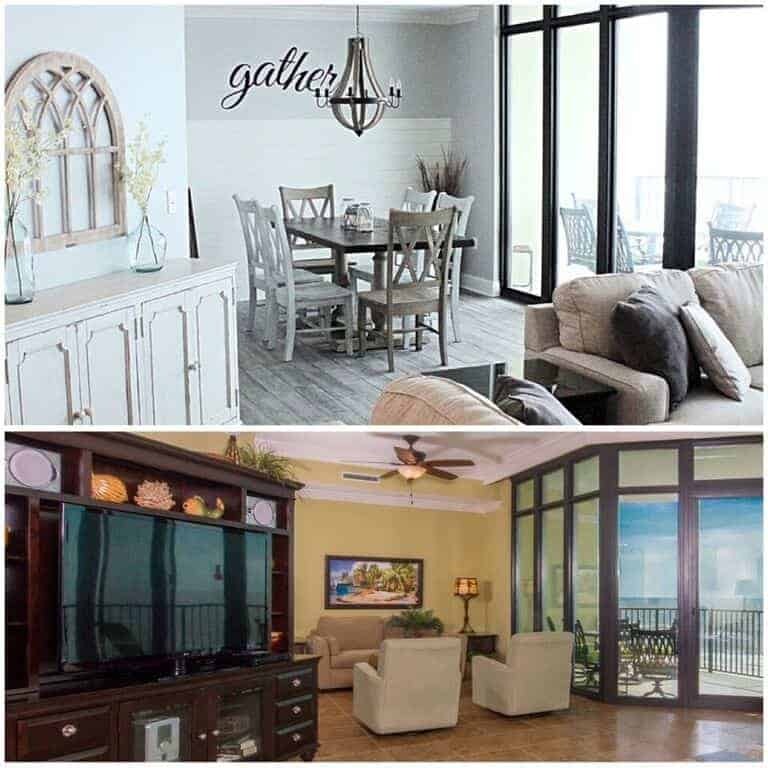 If you’re interested in seeing more budget friendly furniture projects like this, click HERE. 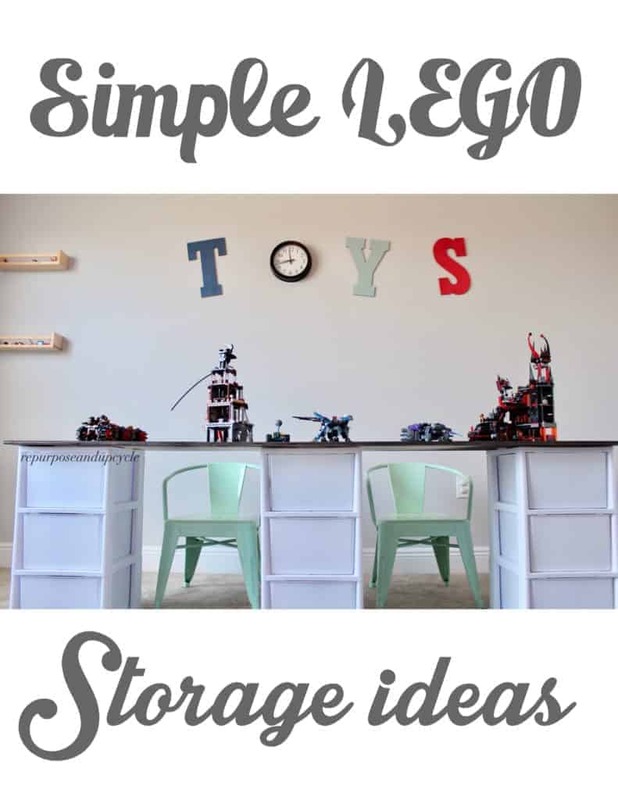 Excellent idea, especially if your son’s Grandmother has bought him every lego ever made. Anything that keeps the lego off the floor is a good idea. I love your table idea. 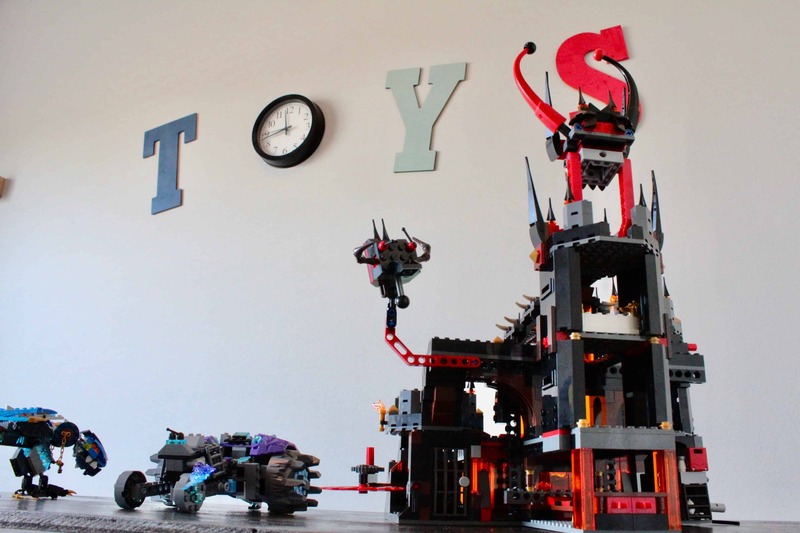 My boys are now 18 and 20 and still have a couple of boxes of lego in their wardrobes – we get it out when people with kids come to visit, lego really is the best toy ever. Nice idea! Cute and organized! This is such a great idea! 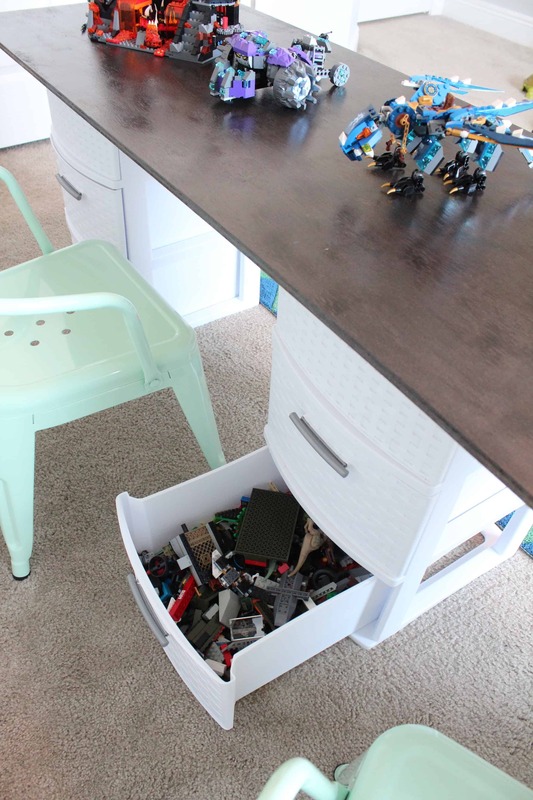 I know we have so many pieces of lego and this is such an amazing way to keep them organized while still being easy access for the children. Thanks for sharing! These are SO perfect! We store ours in little cubbies from IKEA (so kind of the same concept, but yours is way cooler — love the built in play table). LOL glad I’m not the only one with Lego’s everywhere. What a great idea. Those legos can take over. What a fantastic table! I love projects that are both practical and fun. My kids aren’t yet into the teeny tiny Legos, but I know it’s coming soon. Thanks so much for sharing at the #happynowlinkup! Great idea! I could see using this for my daughters art supplies too! Great idea! 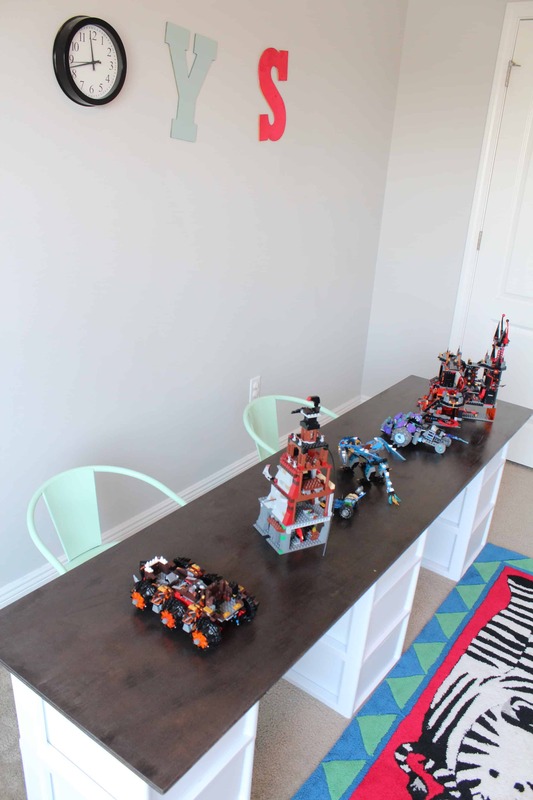 My problem is having an area to display all their lego creations! Looks great! We did something similar using an upcycled wooden door we got at the ReStore. It works great! If it saves me from busting my foot on a Lego in the middle of the night, I am all for it! 😉 Stopping by from the Sharefest. You are a genius!!! This is exactly what I need for my little Lego builder. THANK YOU!!!! Great, glad you find it useful. I always hope to inspire any way I can. Thank you. Thank you! It’s been a huge help with the toy storage issue! Great organizing and storage project Lindsey, wonderful solution for corralling all those little foot mines! Thanks for sharing your project at Fridays Furniture Fix! Terrific idea. I’ll be featuring this tonight on the To Grandmas House We Go Link Party. I love this idea! Thanks for sharing at the Friday at the Fire Station link-up! 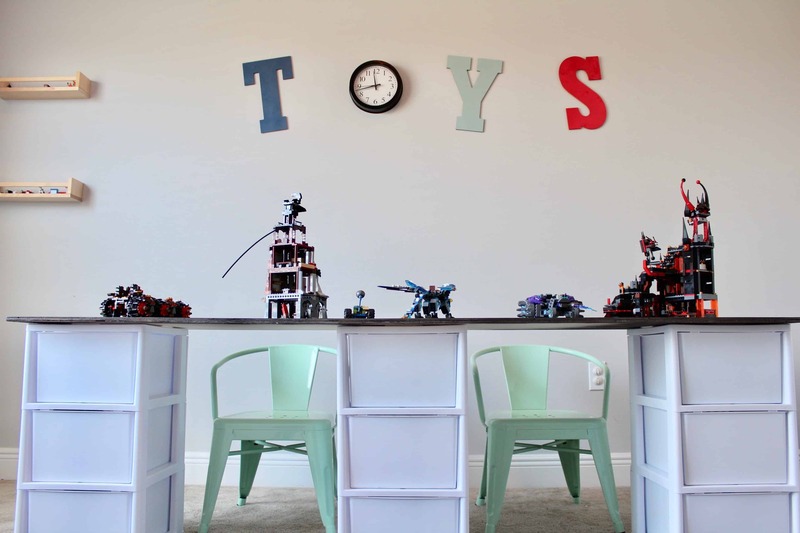 I also love where you have the word “toys” on the wall with the o used as the clock. Very creative! 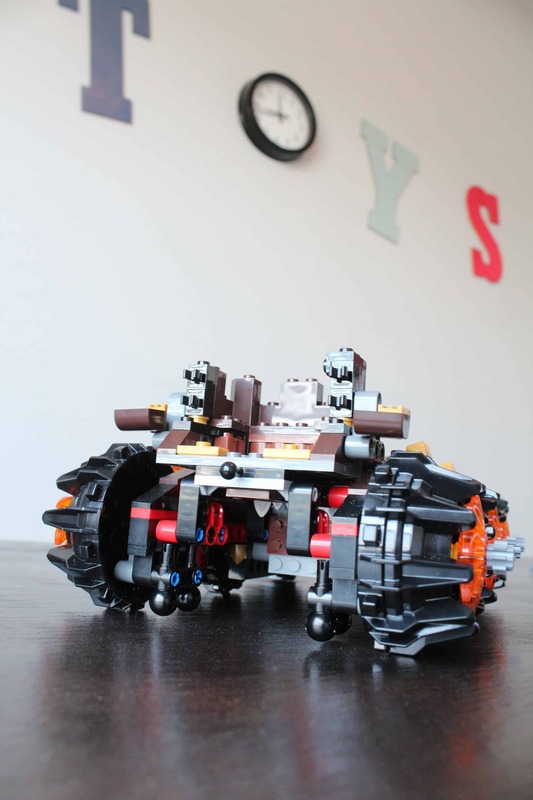 We have more LEGO bricks in this house than you can imagine (I’m serious—it’s unbelievable!) 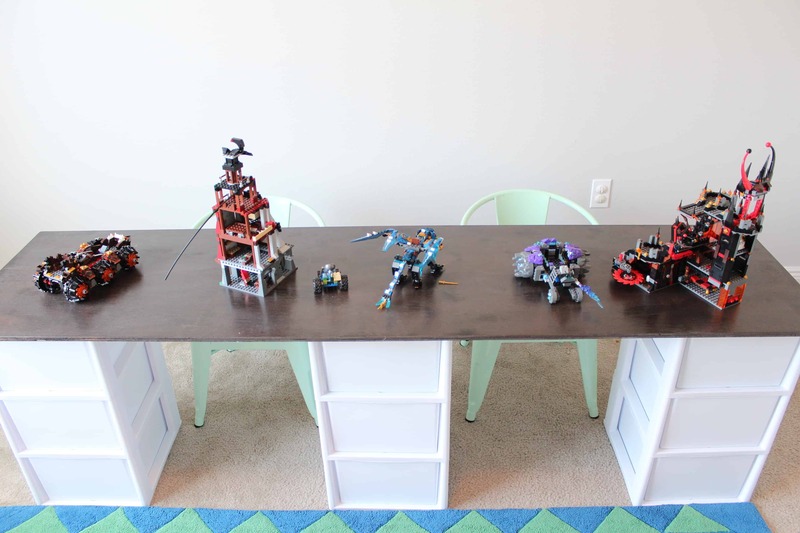 But this is the best DIY LEGO table I’ve ever seen. Brilliant! Thanks so much for sharing this at the Grace at Home party at Imparting Grace. I’m featuring you this week! 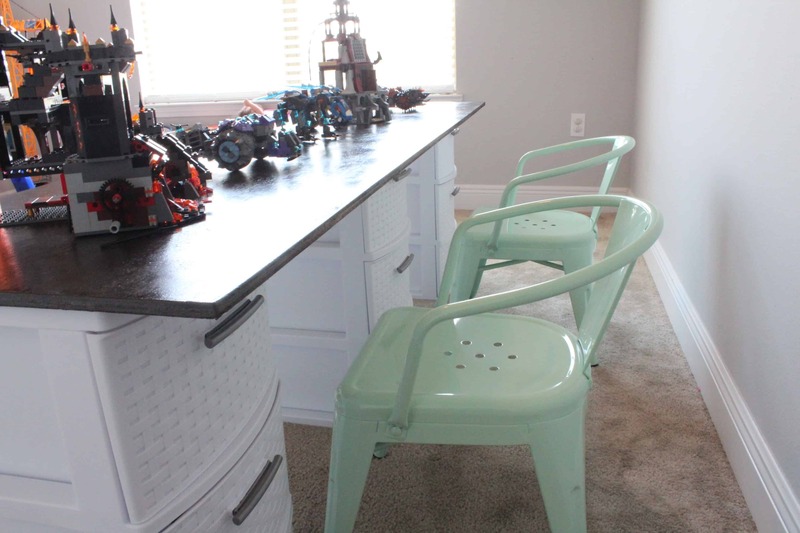 My daughters would love that Lego table! Unfortunately, we don’t have a playroom but I’ll pin it for future reference… who knows! Such a great idea for hours of fun! Pinned & sharing Thanks for joining the Inspiration Spotlight party. What a clever idea and it looks great! Thanks for sharing the how to with us at Snickerdoodle. Pinning. Believe it or not it is really sturdy! My 2 year old sits on the top sometimes and it doesn’t budge. Since the wood is thin, if you try to pick up the top, the bins lift up as well. The 3M strips have a really tight bond. Hope this helps! I’m surprised no one has asked this, but where did the chairs come from? Hi Jennie, They are from Target!